Tarragona, located on the Costa Dorada, 60 miles from Barcelona, is a popular day trip, particularly to see the Roman ruins. Tarragona is considered the most important Roman town in Spain. Although there is an airport very close to Tarragona (Reus Airport) and the main Barcelona airport is closer to Tarragona than Barcelona city is, public transport connections are actually best from Barcelona city center to Tarragona. The train from Sants station in Barcelona to Tarragona costs under 10 euros. There is a bus, but the train is better (and no more expensive). There is also a high-speed train making the trip in 30 minutes. You can take a guided tour of Tarragona, combining it with half a day in Sitges, and leave the travel arrangements to the tour company. The tour company picks you up in Plaça Catalunya, in the center of Barcelona, and returns you there approximately ten hours later. There is a bus, run by Hispano Igualadina, directly from Reus airport to Tarragona. However, the buses run just three or four times a day. Your best bet from Reus airport to Tarragona is to take a taxi, or a bus to Reus town center and then transfer to a bus to Tarragona. It really is more convenient to travel from Barcelona city center. There is a bus, run by Bus Plana, from Barcelona Airport to Tarragona but it is cheaper and just as quick to take a train from Barcelona city center. 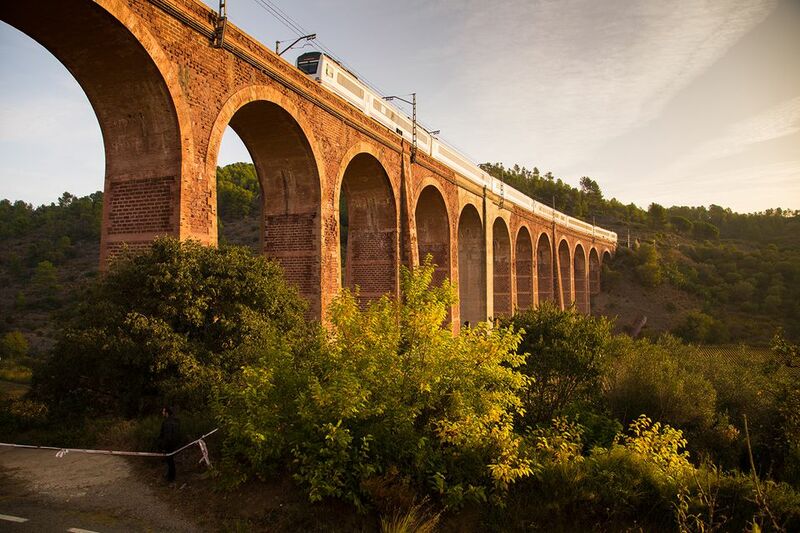 The direct high-speed train from Madrid to Tarragona takes just over two hours. Visitors enjoy staying at hotels near the sea, where the Rambla ends. The Hotel Lauria at Rambla Nova 20, centrally located, and air-conditioned is popular. Vacation rentals are also available. The Roman and pre-Roman ruins are the main attraction in Tarragona. Well-preserved Cyclopean and Phoenician architecture can be found in this old Roman settlement. The Roman Amphitheater, the most impressive of the ruins, is located just off the Rambla Nova. Built on a hillside overlooking the Mediterranean Sea, the amphitheater dates back to the second century AD during the reign of Emperor Augustus. At Tarragona's apex sits the 12th-century cathedral. The Cathedral of Tarragona was built in the 12th century on the site of a 10th-century Moorish mosque. Inside is the Museu Diocesà, with a collection of Catalán art. The Museu Necròpolis (Necropolis Museum) outside town is one of the most important Christian burial sites in Spain, used in the third to fifth centuries. Tarragona has a beach and not far away is Salou, a resort town with beaches ranging from small, rocky coves to the busy main Llevant and Ponent strips. It is popular for windsurfing, sailing, and golf. Families can have some fun at the Port Aventura amusement park and the adjacent Costa Caribe Aquapark.